"Last night Hugh Cornwell, former frontman of the Stranglers, provided some nostalgia for the older generation and introduced good old-fashioned rock to the younger ones"
"To thunderous applause the boys were joined for the encore by local rock 'n' roll dignitary, Hugh Cornwall. He led the band through a full throttle rip-roaring take on Stranglers' classic No More Heroes." 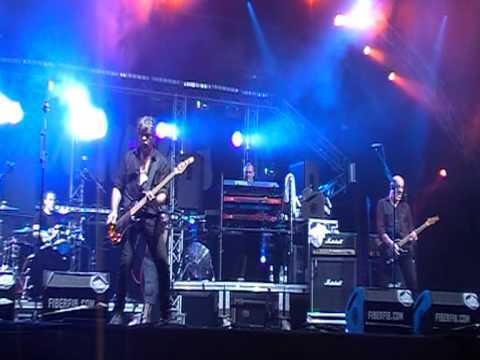 Walk on By the Stranglers at Benicassim 2011.